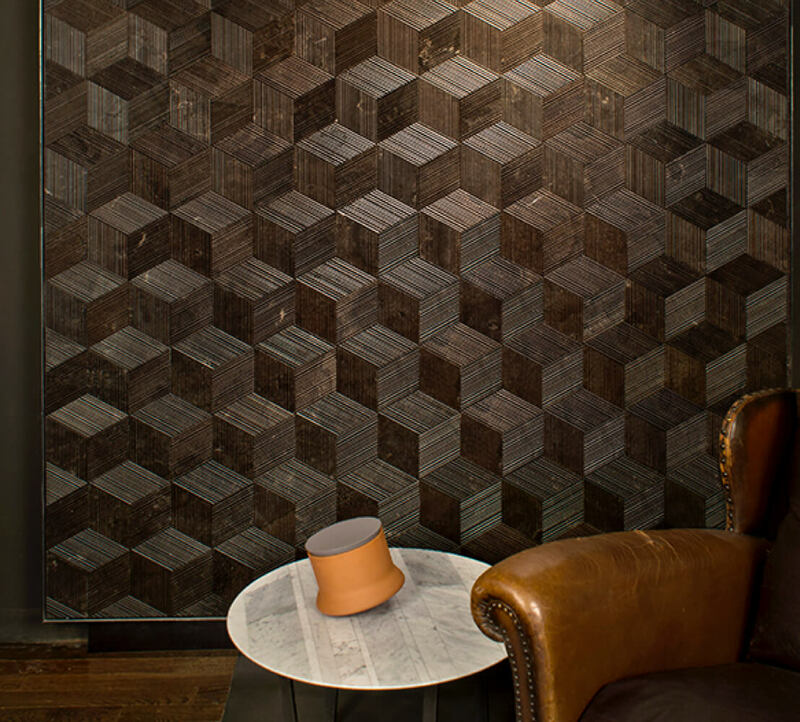 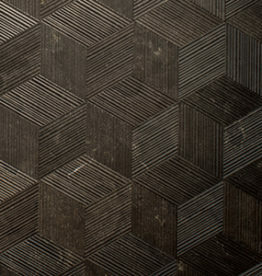 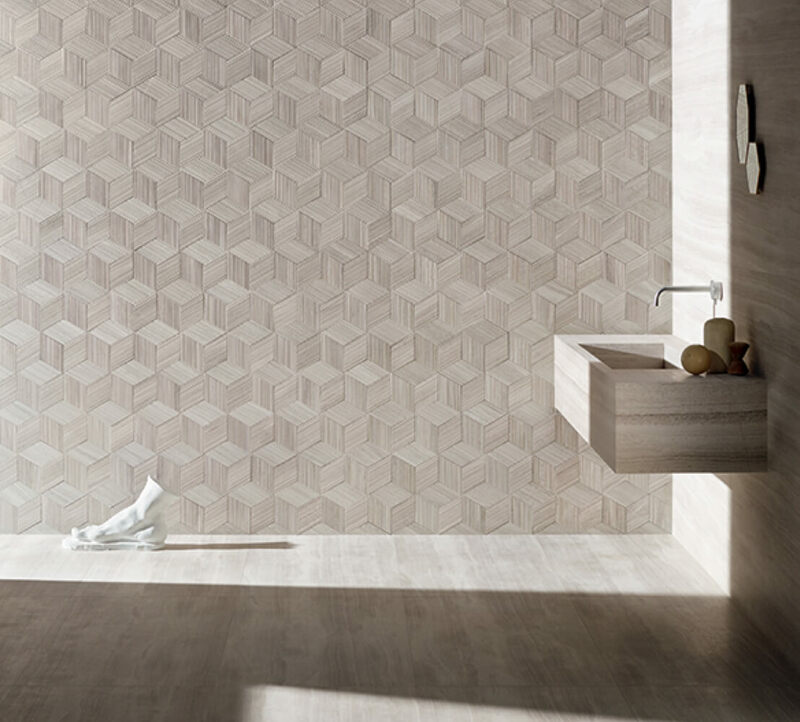 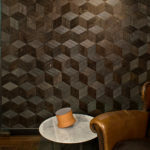 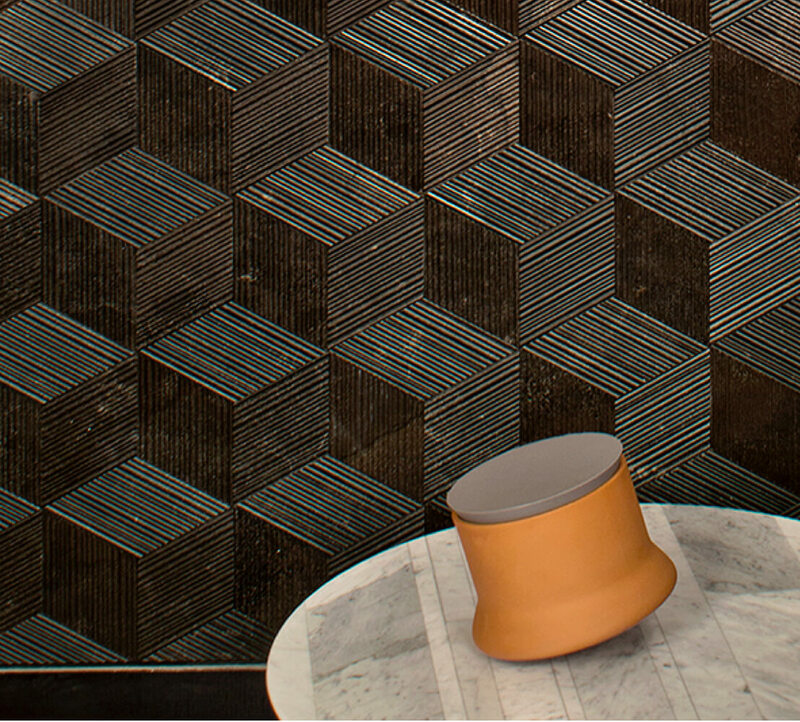 Romboo is a collection of natural stones given a fluid and elegant texture and cut into rhombus-shaped tiles, which form a three-dimensional hexagonal effect. 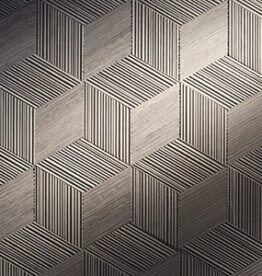 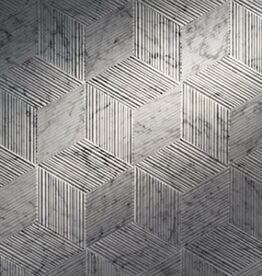 The Romboo collection provides an evolution to the traditional appeal of popular marble and limestone materials. 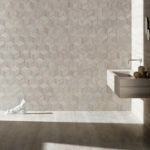 Romboo is available in four materials: Bianco Carrara (marble), Creme d’Orcia (limestone), Pietra d’Avola (limestone) and Nublado (marble). 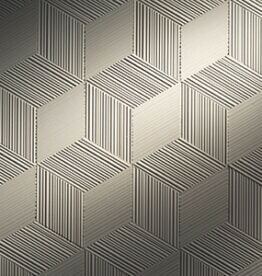 5″ x 8″ (4-7/8” x 7-11/16”).